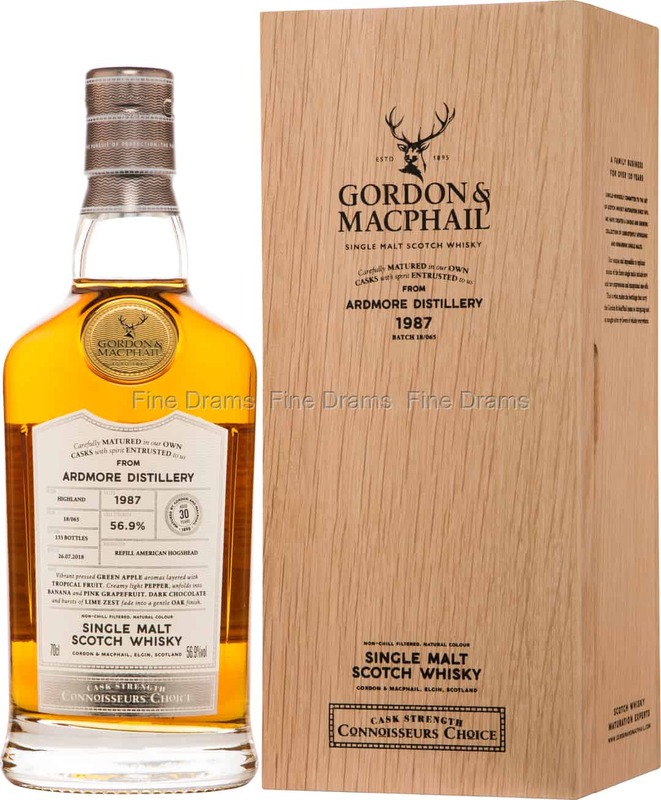 A simply incredible offering, forming part of Gordon and MacPhail’s recently relaunched Connoisseurs Choice range. Ardmore is a rather interesting distillery, a Highlander that is known for creating a peated spirit – it was first used by William Teacher to provide a consistent source of peated malt whisky for his famous blends. This bottling features that classic peat, but it has been tempered somewhat through 30 years of maturation in a single refill American oak hogshead. The result is a warming whisky packed with flavours of tropical fruit, apples, pears, raisins, prunes, charred oak, pepper, coffee, dark chocolate, salted caramel, citrus fruit and elegant peat. Bottled at a cask strength of 56.9% ABV, and without chill filtration or colouration, this is a well-crafted, luxurious whisky. With only 133 bottles produced worldwide, this is an exceptionally rare whisky.